Due to the fact that the weather during winter forces people to often be in close proximity of others, the winter season has become synonymous with Flu Season. This week we continue our series on the perils of winter by exploring the dangers associated with the flu. 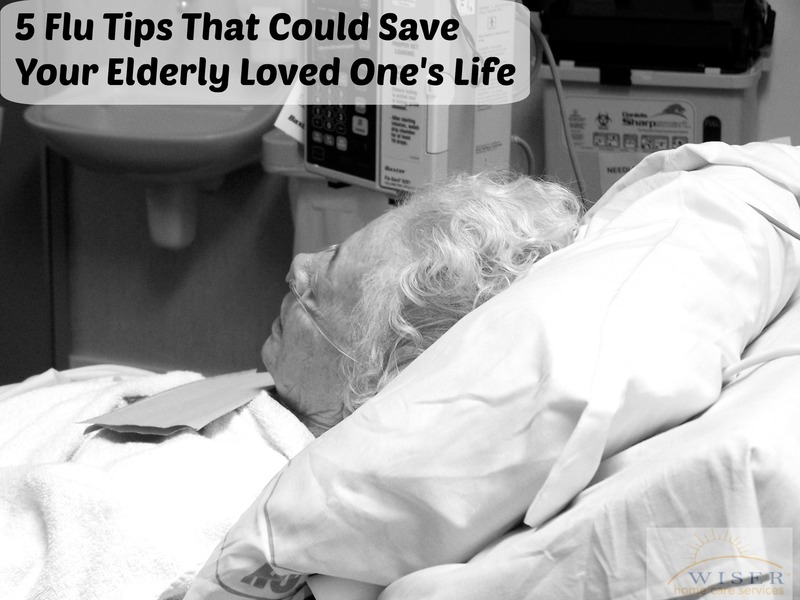 We then discuss how you can help your elderly loved one lessen their chances of getting the flu. Research suggests that the flu causes an astonishing “3.1 million hospitalization days, 34.1 million outpatient visits and an estimated direct medical cost of $10.4 billion.” Even though people of all ages and ranges of health are at risk of contracting the flu, the flu is particularly dangerous for the elderly. In fact, the risks associated with flu-related death and hospitalization increase exponentially for the elderly. According to the Center for Disease Control, in 2009 nearly 20,000 Americans died as a result of the flu. An unbelievable 90% of those deaths were among people over the age of 65. Taking simple health precautions, participating in preventative medicine and catching the symptoms early goes a long way. First and foremost, make sure your elderly loved ones gets their flu vaccination. For those over the age of 65, the annual flu vaccination is available in two options: the normal dose or a higher dose specifically created for the elderly. Make sure your elderly loved one and most people who come in regular contact with them practice good hygiene including frequent hand-washing, covering mouth when coughing and sneezing and avoiding other sick people. Seek immediate medical intervention at the earliest sign of flu symptoms (fever, cough, sore throat, runny or stuffy nose, body aches, headache, chills and fatigue). Build their immune system by eating lots of fruits and vegetables. Also make sure they get a healthy amount of sleep. Be wary of kids- For many, a great part of aging is having grandchildren. However, kids can often be walking germ factories. During flu season be extra careful to limit grandchildren visits. If they are sick, are showing possible symptoms of being sick or recently getting over a cold. If you care for an elderly loved one and would like help developing a care plan to help prevent them from contracting the flu please feel free to contact us. We can help your family establish a care plan to personally accommodate your loved one’s needs.